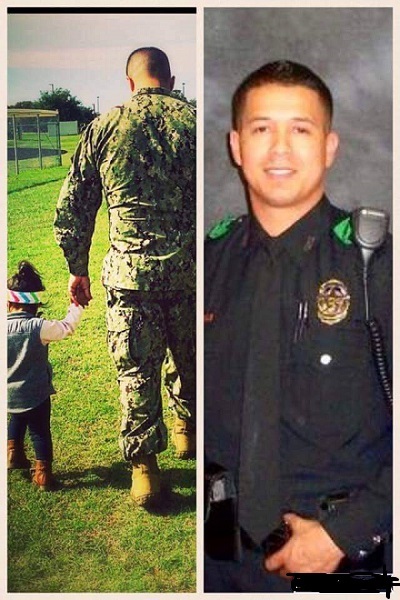 Two years ago, former military officer Patrick Zamarripa who joined the Dallas, Texas police force was assassinated along with four of his brother cops. The killings occurred in the midst of the presidential race between Hillary Clinton — who accused police of behavior she likened to Islamic State of Iraq and Syria (ISIS) — and Donald Trump, who received numerous endorsements from America’s biggest law enforcement organizations and unions. 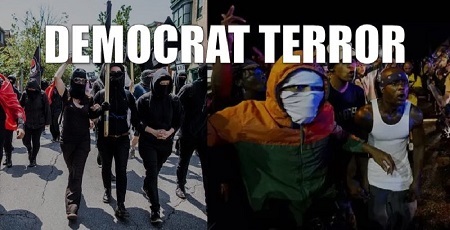 The groups such as Black Lives Matter and Antifa (Anti-Fascists) are linked to, and funded by, the Democrats and activists such as George Soros. During the 2016 campaign not only did Mrs. Clinton denigrate police, but most of the top Democratic Party politicos and their supporters including the Nation of Islam’s Minister Louis Farrakhan and the George Soros-funded Black Lives Matter members, with both of them inciting violence against the nation’s police officers. Even President Barack Obama’s Attorney General Eric Holder vilified local cops. However, it was President Obama’s friend Minister Farrakhan who pulled no punches when he spoke to black audiences, telling them that police officers were enemies of blacks, Latinos, and other minorities. While many elected officials supported police and honored their service to the nation’s communities, no one — except presidential candidate Trump — demanded action against the anti-cop instigators such as Black Lives Matter and other activists. “Farrakhan and his group the Nation of Islam is an intentional or unintentional ‘tool’ of the Deep State, whose puppetmasters would like nothing better than to have all law enforcement federalized under the control of the denizens of the political Swamp in Washington, D.C. It is easier to control police and security forces from a central location especially when it comes to elections and politics. It’s easier to politicize and weaponize government agencies from a central location and do away with police and sheriffs departments across the country,” said former attorney and political strategist Michael Baker. Now after two years since the 2016 Dallas deadly ambush, one of the nation’s most controversial and active attorneys and government watchdog, Larry Klayman, is seeking justice for the families of the five police officers killed. Former military officer Patrick Zamarripa joined the Dallas,Texas police force is one more victim of an assassination by a cop-hating malcontent. Klayman notified the Conservative Base’s editor and former law enforcement official that he filed lawsuits on behalf of the officers killed or assaulted that day including a black and Hispanic officer (Patrick Zamarripa). The lawsuit names Farrakhan and several others who are held in high-esteem by mobs and violent demonstrators. 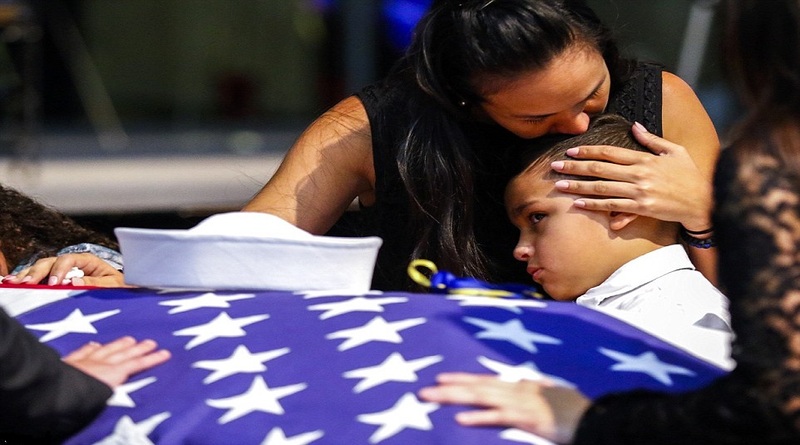 However, the lawsuit has triggered violent reactions: the families of these fallen officers have been threatened and harassed by members of the Black Lives Matter group.They are called terrible names, Klayman stated in his email sent to the National Association of Chiefs of Police..
“I am doing this all pro-bono, because I know it’s the right thing to do. But a lot of time the right thing to do isn’t always the easiest thing to do,” Klayman noted in his email. “I want to bring all of them before a grand jury in these civil lawsuits for inciting violence against those who protect and serve us,” Klayman said. The former Justice Department prosecutor has remained transparent and continues his attacks on the radicals and their leaders or fund some of those in the lawsuits are worried about their families’ safety, but I don’t want to back down. If we back down from violence then they will know all they have to do is threaten us and we will give in. Klayman has already anticipated knee-jerk violence and he’s found several security companies willing to handle the security for the families, witnesses and Klayman. “They believe in what we are doing and willing to just cover their expenses, but the eventual trial will go on for a while, so I’m looking at a $2,700 bill for just security,” said Klayman.